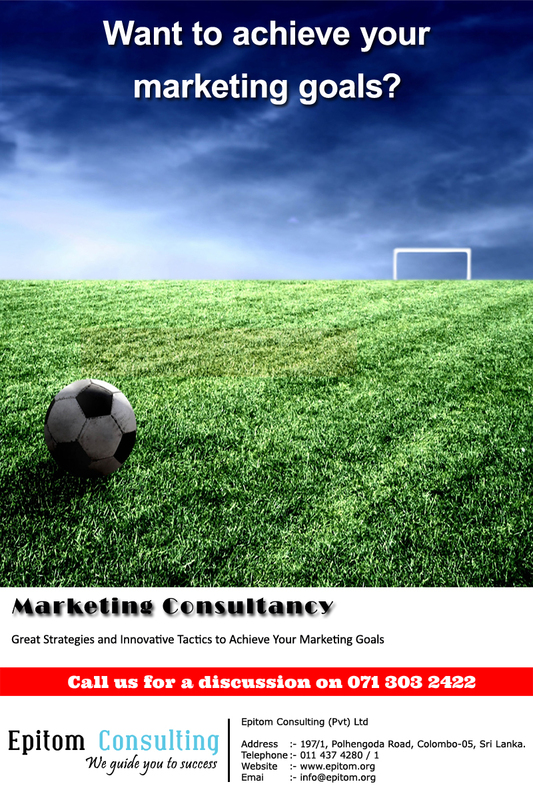 Why do I need marketing consultancy? Marketing is a constantly changing field, and you will need to constantly stay updated with the latest trends while applying these to your business. You will need to make sure all aspects of your business are managed consistently with your brand values. Hiring a marketing consultancy firm to handle these responsibilities will save you a lot of time and energy, especially if you are an entrepreneur. At Epitom Consulting, Marketing is pretty much what we are about. Our qualified consultants are constantly learning about the latest developments in the field of marketing so they can effectively aid your business. We can design a comprehensive marketing strategy for your large brand or small business to outperform your competitors. We can also review your individual marketing efforts to evaluate their effectiveness. Epitom Consultancy has many years of experience with marketing consultancy services in Sri Lanka, so you can confidently trust us with driving your business to success.